If you are seeking Christian writers, you have come to the right place. You can have confidence when you hire the best Christian writers from our site. We have been online since 2000 and have thousands of qualified Christian writers and hundreds of thousands of Christian articles. Our Christian writers and Christian editors have provided services for countless online and print publications over the years. We offer free and for sale articles covering many topics. For several years now FaithWriters has run a weekly writing challenge so every member can become a better Christian writer. The writers are given a topic, word count and a deadline to meet. There are four levels of writers and all entries are read and voted on by our panel of judges. These articles provide content seekers a glimpse into the abundance of talent FaithWriters has to offer. Go HERE and read a few of our Challenge entries. Bonus for Frequent Publishers - Do you have an established Christian website, blog or print magazine with decent traffic? If you will agree to place a link back to FaithWriters on your site and to utilize articles from our writers on a frequent basis, we will help you promote your site like you see in these ads. We receive hundreds of thousands of page views per month. The type and size of ad depends on the traffic your site receives and the number of articles (free or paid) you agree to utilize on a regular basis. We reserve the right to final approval of interested parties, ad size and ad placement. If you think your site might qualify, Contact Mike so we can discuss some free ad space for you. POST A PROJECT totally FREE. Your project will be sent through our unique Private Messaging system that alerts our writers of the new project which dramatically speeds up response time. SEARCH OR BROWSE our extensive listing of articles offered by topic in our For Sale or Free databases. If you wish to hire a writer after reviewing an article, click the words "HIRE THIS WRITER" and you will be able to send a Private Message of interest directly to the author. After your message is received, they can contact you via email or phone to discuss the details of your project further. SEARCH BY AUTHOR'S NAME in our writers database. If you wish to hire a writer after reviewing their profile, click the words "HIRE THIS WRITER" and you will be able to send a Private Message of interest directly to the author. Too busy to search and select the right articles? Provide us with the topics and word count, and we will find some of our best articles for you. Click the link and send us an email with the topic and the word count for each article you need. We will respond in a timely manner with a quote. SELECT ARTICLES FOR ME - This service is fee based on number of articles requested and if the selected articles are from our free or for sale databases. Our daily Bible devotional, written by FaithWriters members from around the world, is on thousands of websites. Simply copy the java script code and add it to your website or blog. Check out the Great Multitude Daily Bible Devotional HERE. Utilize our full site search. Search by author's first and last name or specific article. If you are unsure as to which service would be best for you, click HERE and provide us a basic explanation of your needs. We will get back to you in a timely manner. All estimates are free. Rates displayed are a general estimate only and will vary depending on the actual project. Satisfaction guaranteed! Experienced editor will work with you until you are satisfied. Now includes free book promotion. You might also be interested in our page on How to Publish My Christian Book. PLEASE NOTE: When you email an editor, please provide some basic information about your project. Tell us what the project is, its length and the time frame expected. 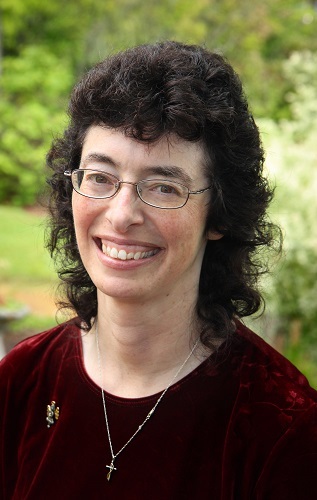 Joanne Sher is a longtime FaithWriters member and former English teacher. Editing is one of her loves and talents. She has had assorted short fiction and nonfiction published in magazines and anthologies, and she has edited works of all lengths, from microfiction to novel-length manuscripts. She also edits devotionals regularly for a devotional blog, and is the blogger for the FaithWriters blog. Rates: Between one and two cents per word. Line or Content Editing by Linda Germain. Published and award-winning writer. Faithwriter member for 10 years. B.S. In English and Former R.N. ; other courses in writing and editing. Experienced in fiction, non-fiction, newsletters, personal letters, dissertations, medical copy, and more. Creative and focused; attention to detail. Easy to follow corrections and recommendations. Rates: From .02 to .03 per word. "I have used Linda’s editing services for years, both for my books and Internet articles.She is exceptionally good at what she does, and equally important, reliable. She does what she says she will do and she does it on time. It is also worthy of note that she gives an author’s work a personal touch that goes above and beyond “just” being a good editor. She has excellent ideas and the ability to help restructure writing for greater clarity. No matter what you write, no matter the forum, Linda will make it better without changing your message. I have always been pleased with her work and recommend her highly." "It is a pleasure to recommend Linda Germain’s editing services. I have been consistently pleased with Linda’s excellent work. She has helped me with editing projects, given me creative advice concerning my radio show copy, and given me new perspectives when I have gotten stuck and was unable to fully communicate a particular idea to my readers." 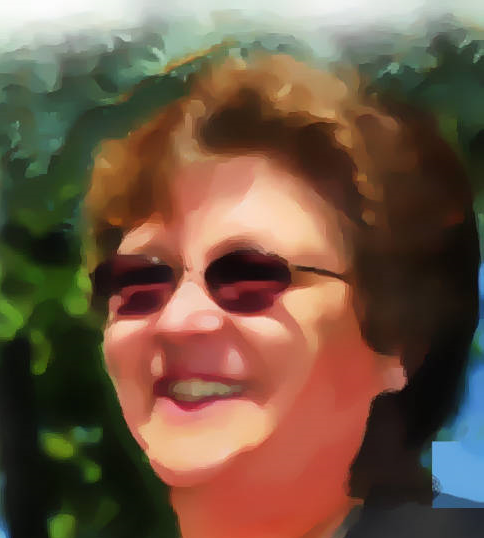 Teresa has been editing for and coaching writers for a dozen years. She has written and edited dozens of technical books and published over a hundred newspaper and magazine articles, fiction and a play in five acts. She has taught college writing and at writers' seminars across the United States. You can see her credentials on her website: www.writing-excellence.com. Rates: Comprehensive editing and coaching is $.016 per word. "Teresa has the global eye for the big picture--what works and what doesn't work. She also has the eagle eye for detail so necessary in the final polishing stage before submission. Without fail, her valuable comments and suggestions are offered with skill, encouragement, honesty, and compassion." "Teresa taught me scene sequencing, conflict building, POV, and much more. Her enthusiasm for my writing brought me back to the joy of fiction. She has the ability to focus on the larger story, character traits, and building to a fantastic climax. Her imagination is out of this world. As of today, three editors and one agent have asked for my full manuscript. I can thank Teresa for getting me this far. I've recommended her to other writers looking for a way out of the blues, writers who get bogged down and need a new perspective. I think she's the greatest." Noel Mitaxa is an Aussie storyteller. He has syndicated his weekly Good News column in Australian secular newspapers for over twenty years; a syndication that's recently expanded into Australia's armed services and to the USA and the UK. His insights come from decades of working with people: as an employment counsellor; then as a pastor and a chaplain in industry and sports; and from living up close as a husband, father and grandfather. Noel loves words: as powerful tools and as playful toys. He has edited a Christian sports magazine, promotional brochures, television testimony spots, children's books and pastoral care books. Most recently he assisted Christian coaches with a soccer manual that links discipleship pointers with game strategies-as a bridge to reaching young sportspeople in the developing world. Having loved the stimulation of belonging to the FaithWriters family since early 2009, Noel is keen to assist colleagues wanting to reach secular readers with credibility and relevance. 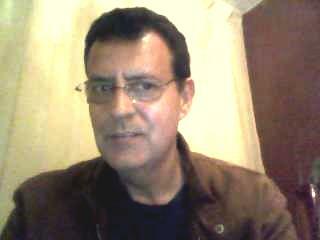 Pastor Ricardo Ramirez is a native Spanish Christian professional translator. He has a long history translating educational, fiction and non-fiction Christian materials. He has also translated for several Christian video producers as Onetimeblind, Lifetreecafe, Seekthekingdomfirst and many others. Ricardo translated the book Churchmarketing 101 written by Dr. Richard Reising. By having your book translated to Spanish you will get access to the growing Spanish reading communities in the USA and Latin America.